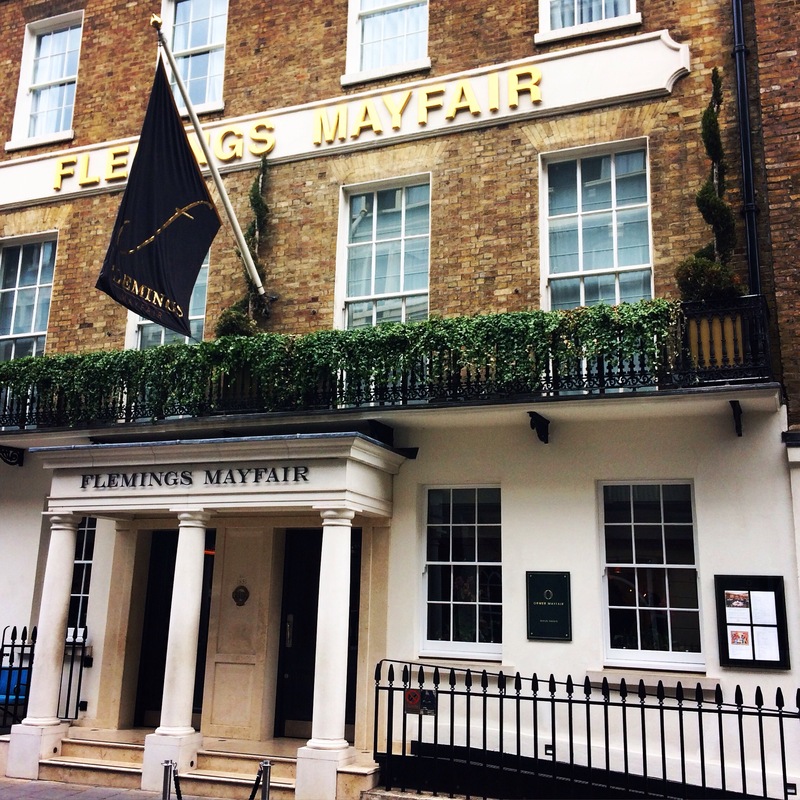 Flemings is one of London’s oldest hotels; dating from 1851. The stunning venue comprises of thirteen Georgian Townhouses dating from 1731. Inside, the Art Deco-inspired interior of this historic hotel is awash with the glamour and artistry of the 1920s. 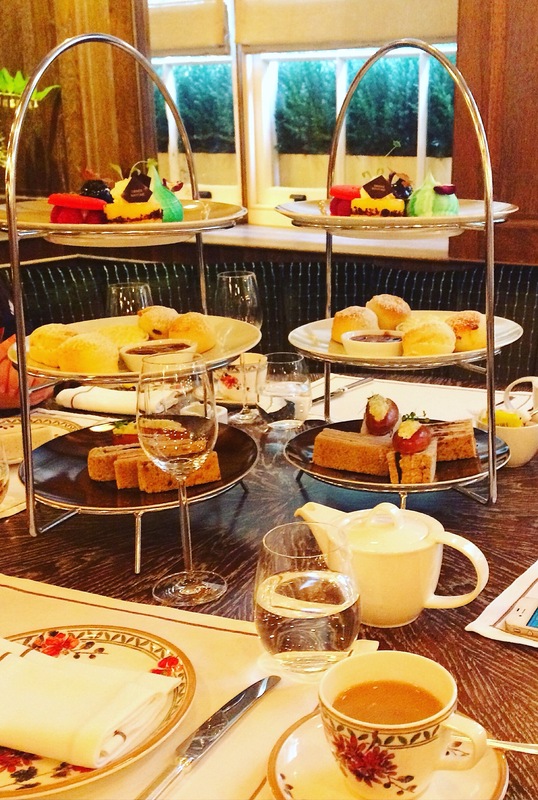 Needless to say Flemings offers the perfect setting for Afternoon Tea. 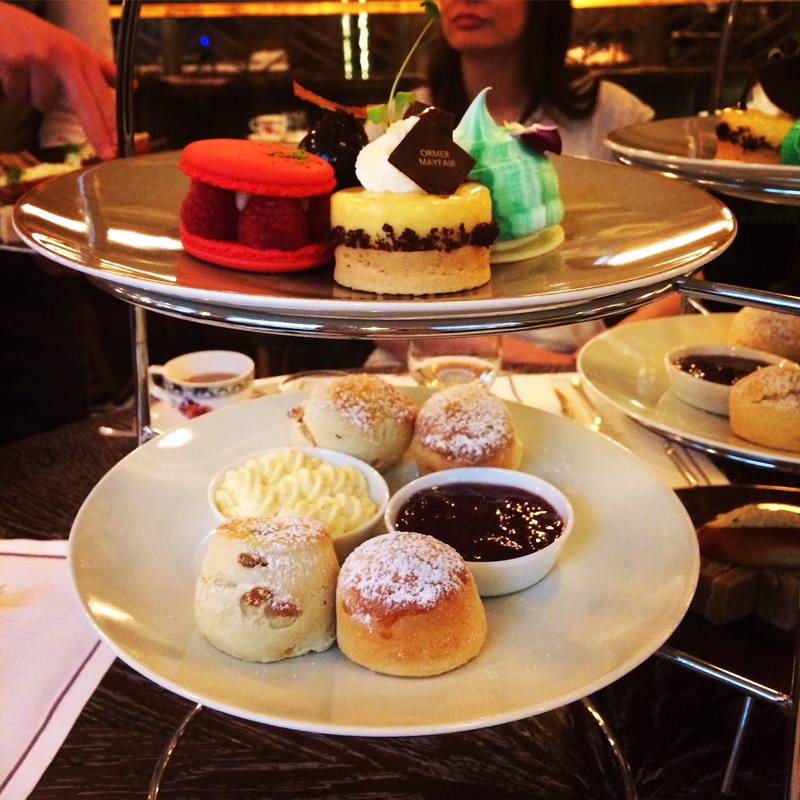 Afternoon Tea is served in the Ormer Restaurant Led by Michelin-starred Executive Chef Shaun Rankin. The glamorous dining room features leather banquette seating, dark-wood panelling, glass tiles and bronze lighting…all within an easy 3-minute walk from Green Park Tube Station. 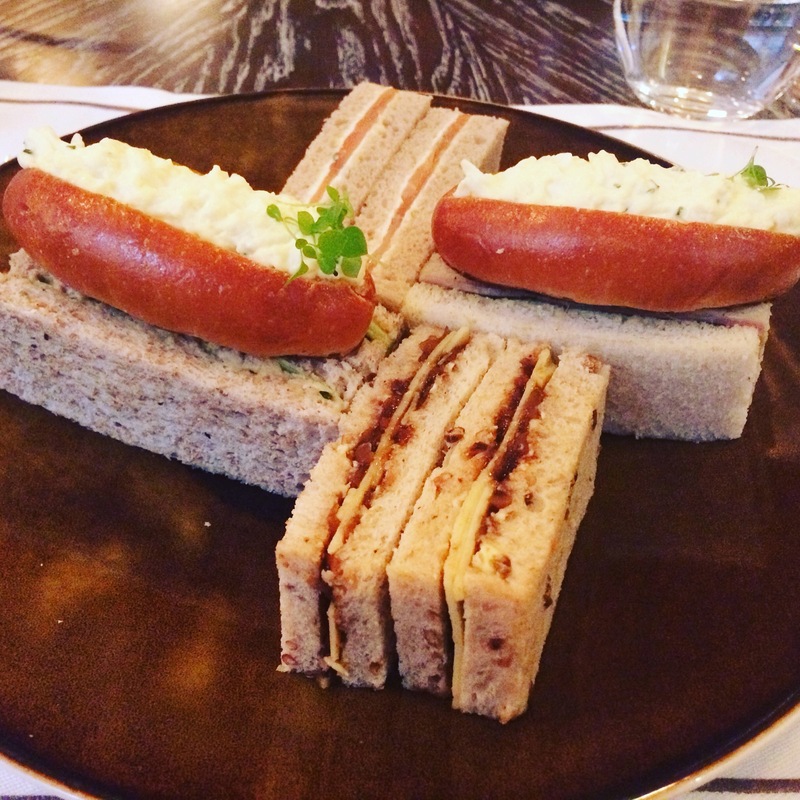 I visited Flemings to try their Feast on London afternoon tea menu through Bookatable.co.uk over the bank holiday weekend with a group of university friends. It proved the ideal setting to catch up in comfort with excellent service and food from start to finish. The hotel is tucked away behind the hectic chaos of Picadilly. Walking into the Hotel feels like an oasis of sophisticated calm. The moment we enter the hotel we are greeted by friendly and helpful staff. 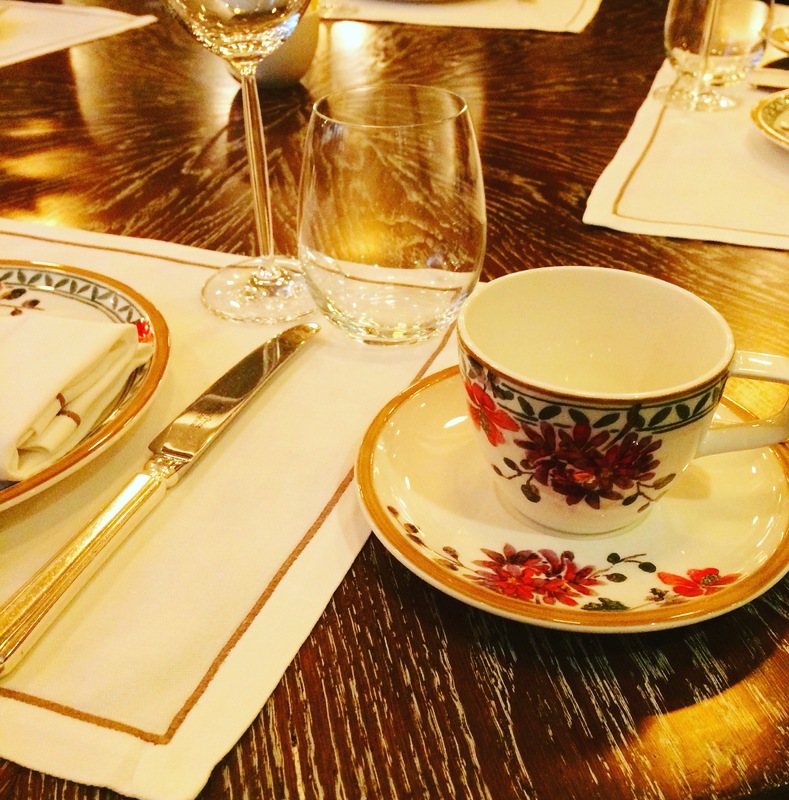 We are welcomed and guided to the Ormer Restaurant where we are offered a smart corner table laid up with pretty China tea cups and plates, crisp clean napkins and sparkling silverware. 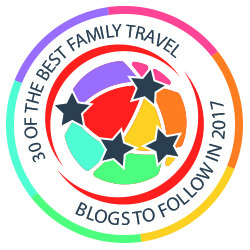 Once settled we are offered a choice of champagne or sparkling wine to accompany our tea. 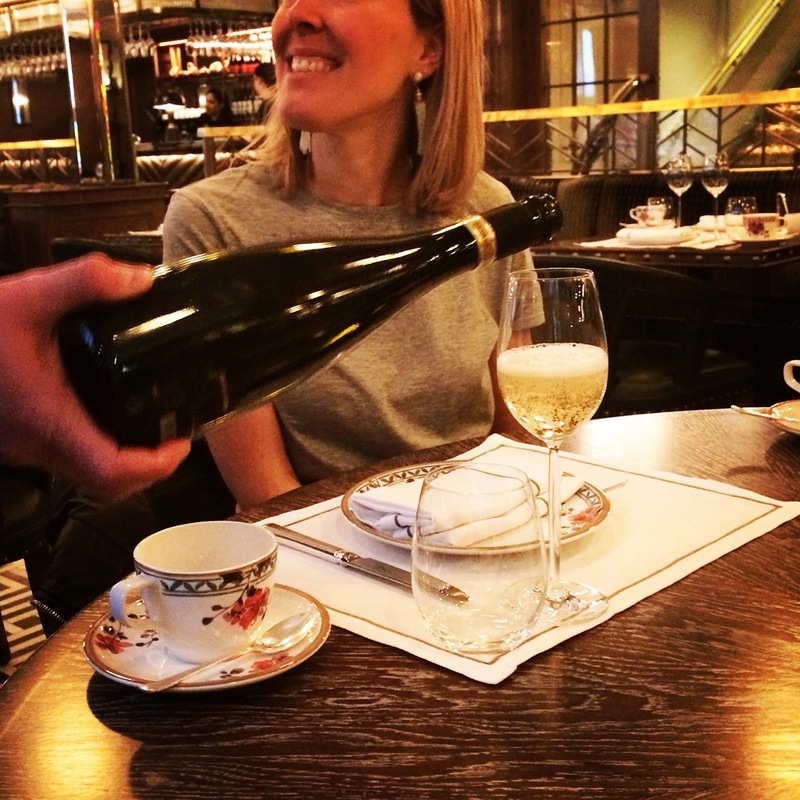 Our waiter carefully explains the difference in palette and taste to guide us in our choice making…but we all opt for champagne! We were offered a wide choice of teas from a selection from Camellia’s Tea House including exotic options like Soothing Rose, Chai and China Milky Oolong. Not being a particularly adventurous group as a table we choose a mix of Earl Grey and English Breakfast. My pot of English Breakfast really impressed me with its blend of delicate flowers and spicy tones. Refreshing and incredibly flavoursome. We were talked through the rest of the menu by our waiter. He was careful to check whether we had any dietary requirements or preferences. One of our party requested that her sandwiches were not made with mayonnaise which was something they were happy to accommodate. The tiered platter arrives looking both beautiful and delicious. A rainbow of petit fours on top of perfect scones with cream and jam, on top of neatly cut sandwiches and egg rolls. 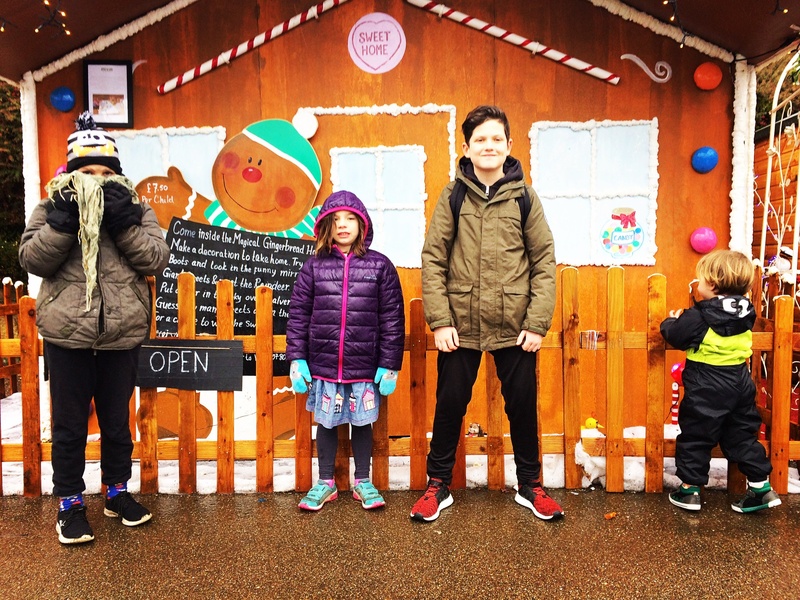 It seemed a shame to tuck in to such an artistic display….but tuck in we did! 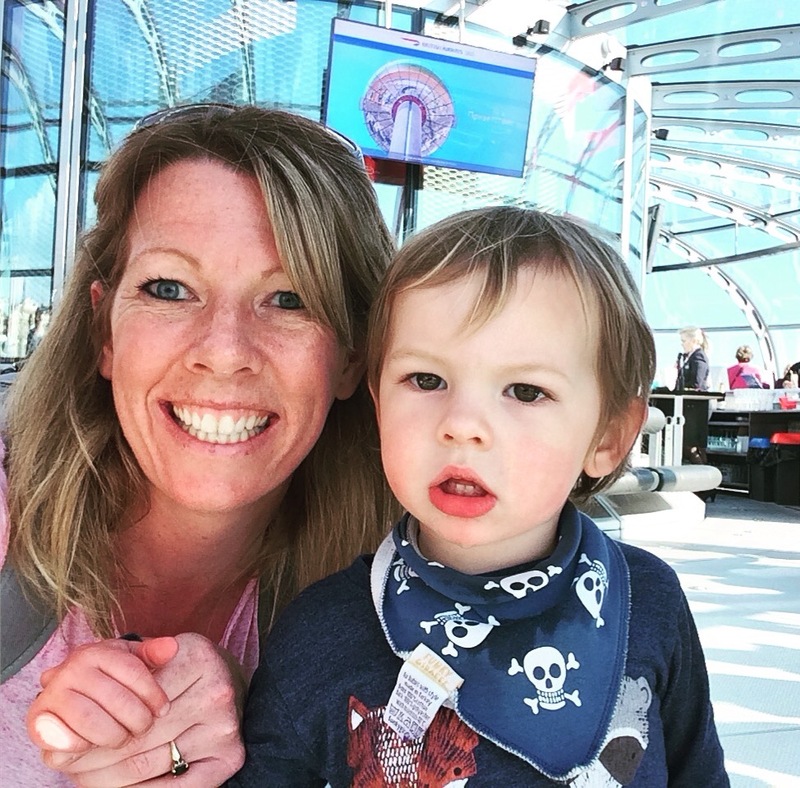 The selection of sandwiches included egg mayonnaise in a brioche bun; cheddar and pickle; salmon and cream cheese; ham and pesto and chicken and tarragon. We all agreed that the chicken and tarragon was a particular light and fragrant favourite…with the refreshingly smooth cream cheese and salmon being another highlight of this course. The selection of homemade scones were clearly freshly baked being slightly warm, light and fluffy. The accompaniment of Jersey Chantilly cream rather than traditional clotted cream was the only slight disappointment of the whole tea… for me this is one of the highlights of any cream tea and Chantilly cream doesn’t quite hit the mark. Moving onwards and upwards we reach the top player of our tiered platter, we reach the Petit Fours. An absolutely stunning plate of neat, colourful treats…beautifully presented and a real feast for the eyes. These tiny delights comprised of a selection of exquisitely dark cherry and pistachio profiteroles; tangy passionfruit tart; zingy rose petal macaroons and zesty pavlova with strawberry and lemon. 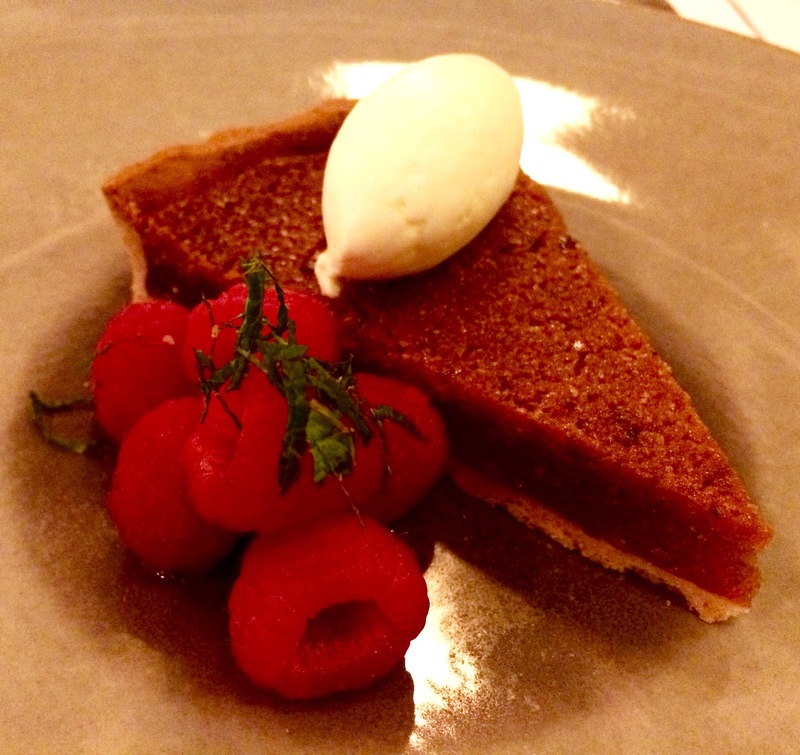 In case we hadn’t indulged enough, once our plates were cleared we were presented with two servings of Shaun Rankin’s original Treacle tart with clotted cream, raspberries and mint for the table to share. With crumbly pastry, deliciously sticky treacle and cool, rich cream this was the perfect finale for a perfect afternoon. 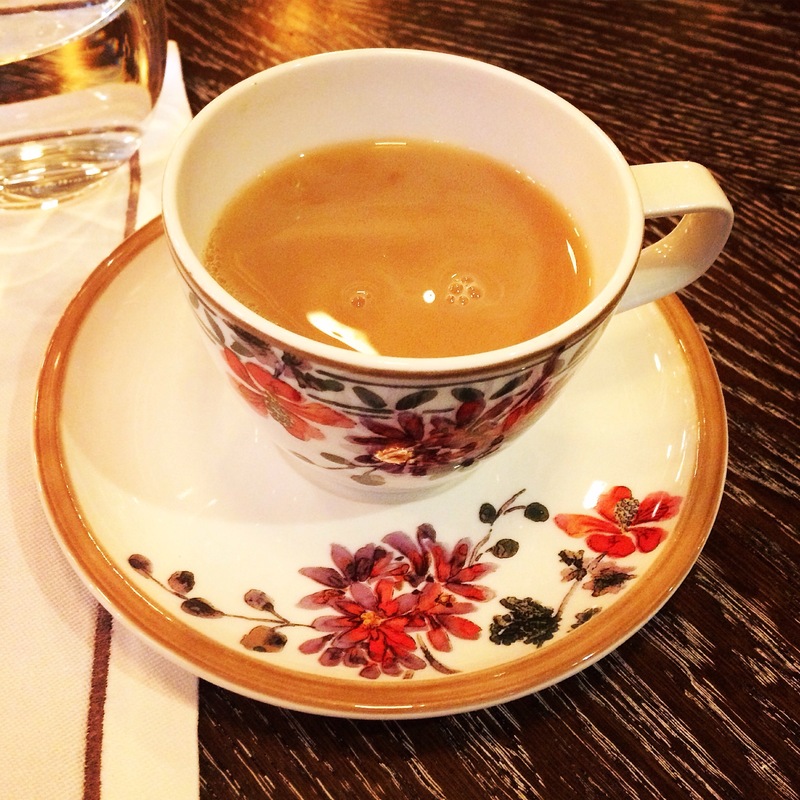 Throughout our tea sitting the service was impeccable. We were offered top ups for sandwiches and tea. We always had water in our glass and if we needed something it was on the table within seconds. 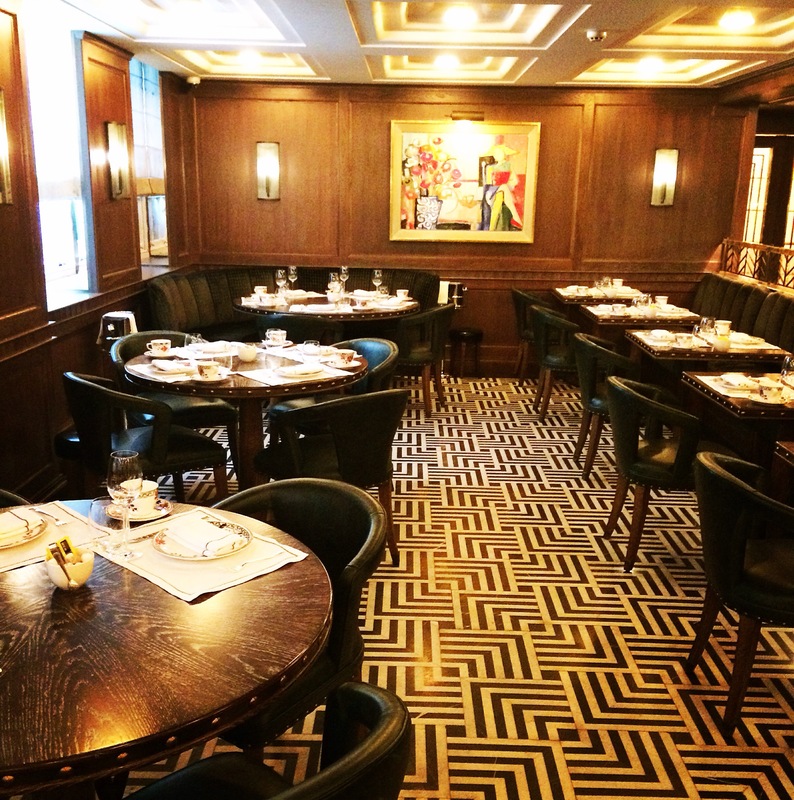 The Ormer Restaurant is luxurious and relaxing yet not overwhelming. 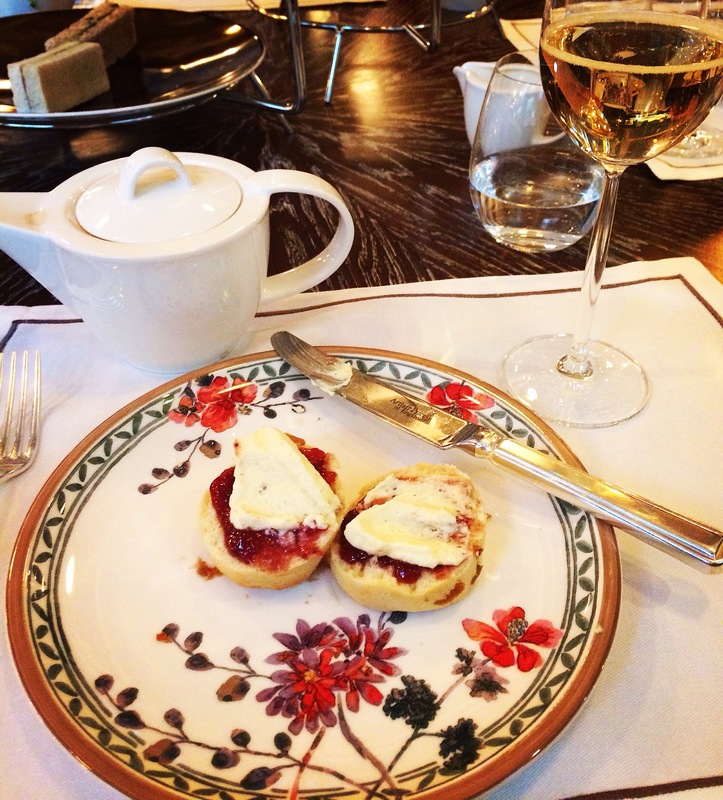 Our champagne afternoon tea cost £29.50 as part of the Feast on London event. I feel this is extremely good value for the location and service provided at Flemings, however as is the case with a lot of London restaurants please note that an additional 12.5% service charge will be added to your bill. Afternoon tea at the Ormer Restaurant is the ideal treat for a special occasion or catch up with friends…laid back luxury that will leave you feeling well and truly indulged!